Suitable for Xaar*, Spectra*, Konica Minolta* and Seiko* print heads 35pl and higher. 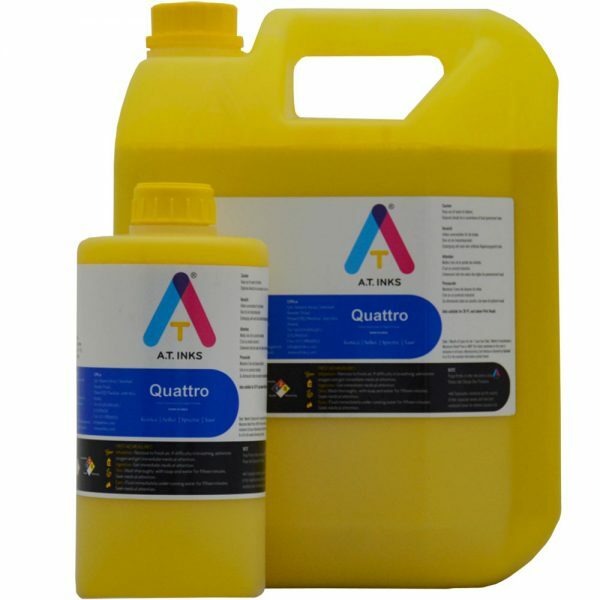 High Color Gamut, Bright and Vivid colors. 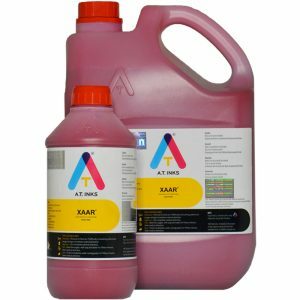 Meet or exceeds all OEM standards. 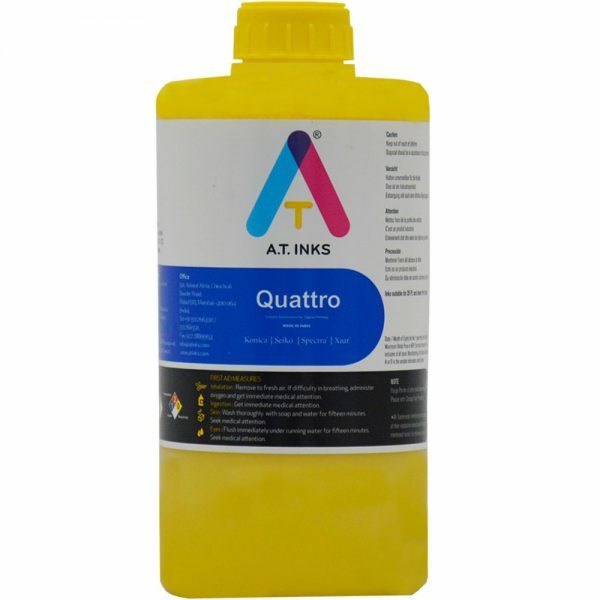 Flush Solution Quattro Flush is compatible with this inks. 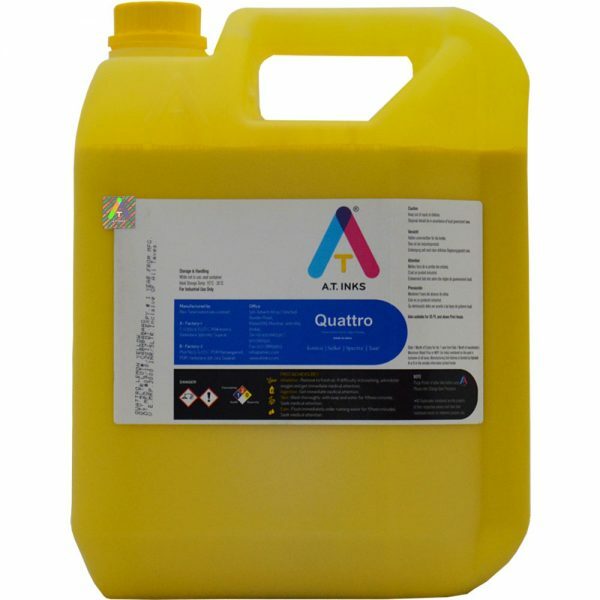 A.T. Quattro is solvent based Inkjet printing ink .Suitable for Xaar*, Spectra*, Konica Minolta* and Seiko* print heads 35pl and higher. 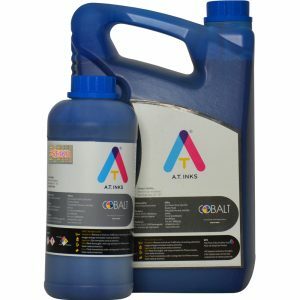 Good scratch and smudge resistance Up to 18 month of resistance to UV rays outdoors. 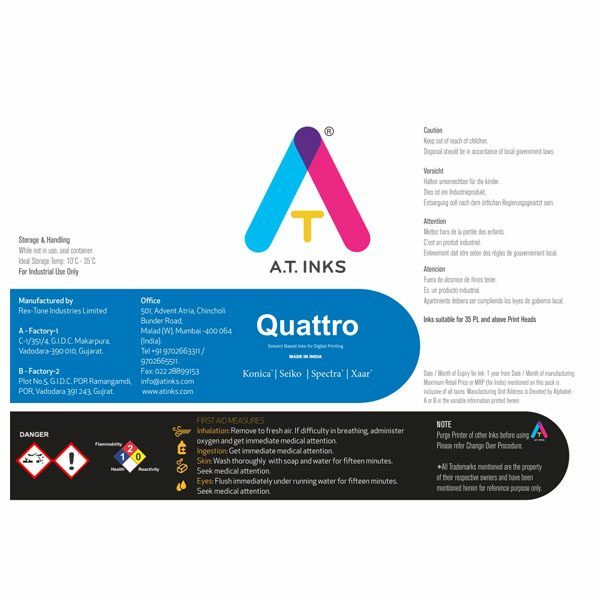 It is designed to have long outdoor life with excellent color gamut and also Shows excellent jetting performance and reliability on roll-to-roll printers.